Understand, the way you dress directly impacts how you feel about yourself, how you approach your work and how you show up each day. 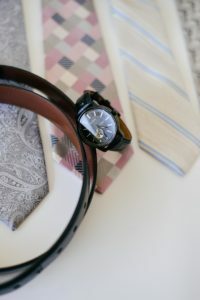 If you are like most of my clients you want to dress better than the next guy. You want to have options for going out that aren’t what you would wear to work (but you know to not wear your gym clothes). You may also be confused about pairing clothes and if certain things go with each other. When you look in your closet you think some of your clothes may be outdated...and that you aren’t wearing them in an optimal way but you aren’t sure where to start. Let me take that out of your hands. If you have held back on making progress with your wardrobe because of time and energy, that is what a stylist is for. Let me make this quick, easy and painless for you. Learned some new tips and tricks, get updates on trends in style, and know what is optimal for your body type. Understand why quality clothes matter and where to find them. Finally, know the most important thing that makes or breaks an outfit for men. Know how to wear colors (or any other style you have been wanting to know more about) and get beyond how you normally wear your clothes together. You will start with a Design Your Signature Style session which is a virtual styling session to focus on where you are at with your style, where you want to be and how to get there. Once we Design Your Signature Style, you can work with me on personal styling and shopping. I look forward to hearing from you. Design Your Signature Style is available for an investment of $497 and is easy to schedule. All you have to do is book your appointment below! “I recently went through a “Design Your Signature Style” session with Loren and it was fantastic. Loren made the experience very easy, comfortable and fun. She provided me with great feedback, thoughts and suggestions on how I can improve on my style and my wardrobe. I loved how knowledgeable she was on men’s style and fashion.